The shoes submitted by CVHS to the Vans contest. They started as four pairs of blank, plain canvas shoes, but now those kicks might earn students at Spokane Valley's Central Valley High School $50,000. 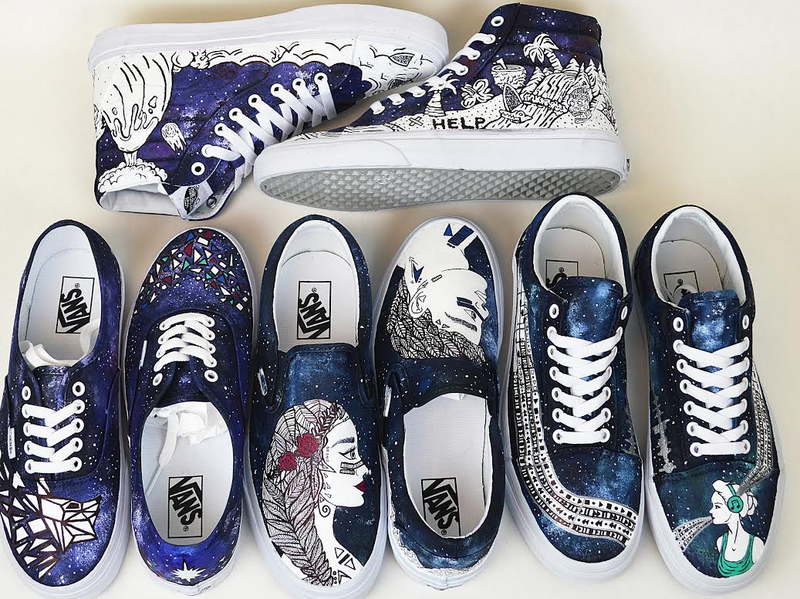 The CVHS art department entered the Vans Custom Culture contest earlier this school year and are now one of the 50 semi-finalists for the top prize, which will benefit the entire art program. Vans provides participating high schools with the four pairs of blank shoes and then it's up to the students to conceptualize, design and paint the footwear to create what you see above. Vans says the contest is meant to not only reward the creative efforts of young people, but to also bring attention to the dwindling arts funding available in today's public schools. Half of the final score comes from a public vote, and you can vote for CVHS' designs once a day until May 11 right here. If CVHS makes it to the final five, they get a trip to Vans headquarters.